$1,000 flagship phones are an unfortunate reality in today's market, but there are plenty of options out there with most of the performance at a fraction of the price. One of the newest entrants to this game has been Xiaomi's Pocophone F1, which offers flagship-level specs at just $300. In case the low, low price wasn't incentive enough to pick one up, the Poco team will be adding a bunch of features and fixes in the coming weeks. According to C Manmohan, Poco India's General Manager, the F1 will be getting 960fps slow-motion recording and night mode in the next couple of weeks. Given that only a handful of phones support 960fps recording, all of which are much more expensive than the F1, this is pretty remarkable. Also mentioned are a night mode, though we doubt it'll be as effective as Google's Night Sight, and fixes for battery drain and touch input issues. And regarding 4K 60 FPS, we will be rolling it out in the stable update in February. We are working with our partners to also provide Widevine L1 certification. Manmohan goes on to mention that 4K 60fps recording is coming next month, and that Poco is working on getting Widevine L1 certification (which is necessary for HD playback in Netflix). Those of you who own Poco F1s will no doubt be enthused to hear this, and it's impressive that features of this caliber are being added even after the phone's initial release. 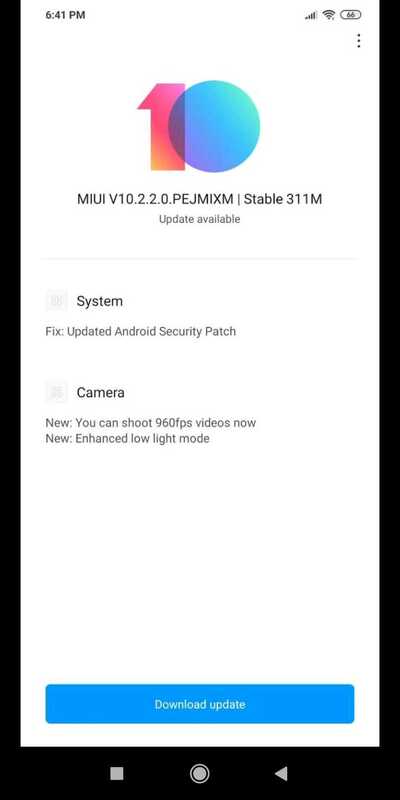 According to Xiaomi's MIUI forums, the update which enables 960fps video and improved low-light performance has started rolling out. It's currently a "Beta Stable," whatever that means. The rollout for the update to V10.2.2.0.PEJMIXM is happening in batches, likely to make sure there aren't any major issues with it. My own Pocophone F1 doesn't have it just yet, but YMMV. Barring any unforeseen issues, it shouldn't be a very long wait, given the rollout of previous updates. The Poco F1 is now getting an OTA (v9.2.25 for beta users) that includes Widevine L1 certification. Once testing is complete, the update will graduate to the stable channel. However, according to XDA Developers, only DRM content for HotStar and Amazon Prime Video is compatible now — Netflix hasn't yet certified the Poco F1 for HD streaming. 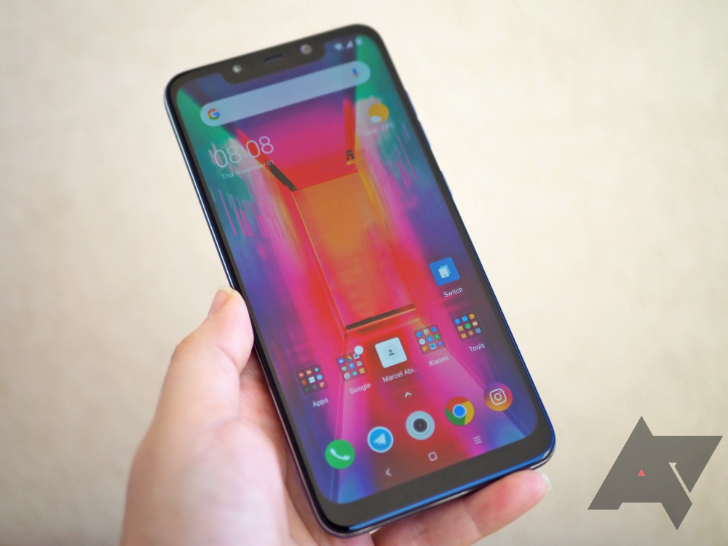 Following a little over a month in beta, the Pocophone F1's Widevine L1 DRM support, as well as some of these other promised updates, have made it into the phone's latest public, stable update. The ability to enjoy streaming content at crisp, HD resolution is a welcome (if not long-overdue) upgrade to the Poco's functionality, as is the arrival of support for 4K, 60FPS video recording. Sadly, it looks like Netflix compatibility still hasn't been worked out, and the manufacturer reports it's trying to resolve that issue. This week's update also brings the phone its latest security patches, as well a performance-optimizing Game Turbo mode. Look for the OTA release to hit your handset soon, assuming it hasn't already.